“The single most illuminating work on America and the movies” (The Kansas City Star): the story of how a shy boy from Chicago crashed Hollywood and created the world’s first multimedia entertainment empire—one that shapes American popular culture to this day. When Walter Elias Disney moved to Hollywood in 1923, the twenty-one-year-old cartoonist seemed an unlikely businessman—and yet within less than two decades, he’d transformed his small animation studio into one of the most successful and beloved brands of the twentieth century. But behind Disney’s boisterous entrepreneurial imagination and iconic characters lay regressive cultural attitudes that, as The Walt Disney Company’s influence grew, began to not simply reflect the values of midcentury America but actually shape the country’s character. 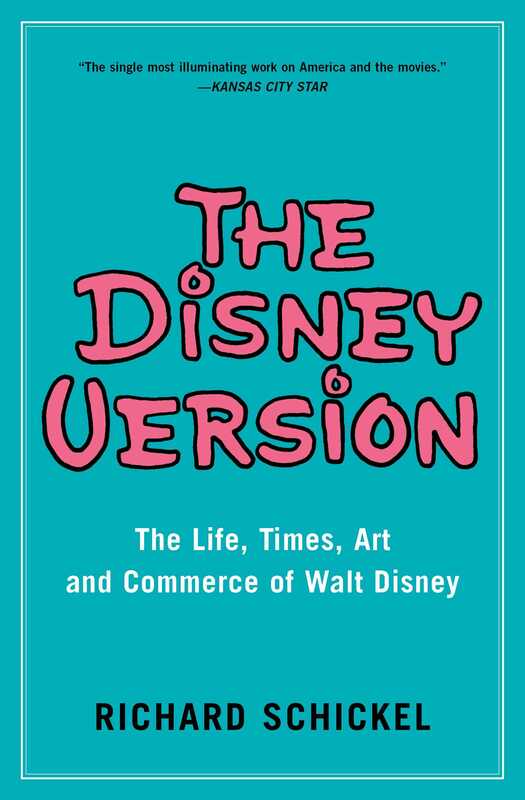 Lauded as “one of the best studies ever done on American popular culture” (Stephen J. Whitfield, Professor of American Civilization at Brandeis University), Richard Schickel’s The Disney Version explores Walt Disney’s extraordinary entrepreneurial success, his fascinatingly complex character, and—decades after his death—his lasting legacy on America. Richard Schickel was the longtime film critic for Time magazine and the writer-producer of a number of documentaries about Hollywood and the movies. His books include D.W. Griffiths: An American Life, His Picture in the Papers, The Men Who Made the Movies, Intimate Strangers, and The Disney Version.